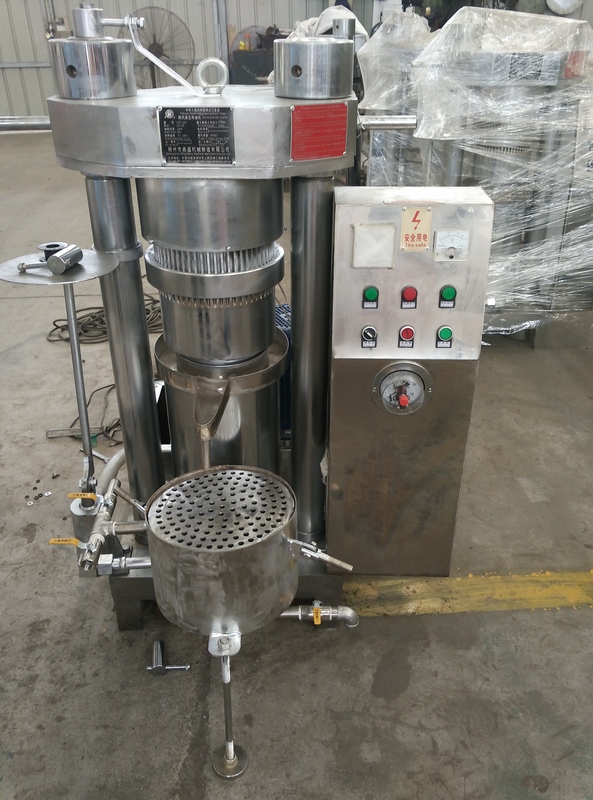 Product categories of Hydraulic Oil Presser, we are specialized manufacturers from China, Hydraulic Oil Presser, Hydraulic Oil Press suppliers/factory, wholesale high-quality products of Hydraulic Oil Press Machine R & D and manufacturing, we have the perfect after-sales service and technical support. Look forward to your cooperation! 1. High pressure, large capacity, used for both hot and cold pressed. 2. To a variety of high-grade oil crops, such as cocoa beans, walnut, almond, pine nuts, sesame, olives, mountain tea seed, etc. 3. It can also used for dehydration, De-oiling, off liquid for clay, activated carbon and other chemical raw materials. 2.Easy to operate , having the highest oil yield. 3.It is the least to replace wearing parts among all the range of machines. 4.It can press sesame, walnuts, olives, cocoa beans, coconut,pine nuts, and almonds . and other high oil crops with big capacity. 5.This machine has a small volume,less land occupation,and it`s easy to learn to operate,and it don`t need too much requirements about the operator. 6.It is made of stainless steel , so the oil can reach the healthy standard .